Are you looking to build a 10 x 12 storage shed? If you are, then look no further because we have storage shed plans for this size in the gable roof, gambrel roof, and saltbox roof. As soon as you pay with paypal, you will immediately be sent a link for the plan download. Files are in pdf format and payment is secure through paypal. Please make sure your email provider will accept emails from shedking.net and e-junkie.com, the company from which the download link is from. Build this 10x12 gable style storage shed with downloadable plans that include building guide, 2 materials lists, 1 for shopping and 1 for building. You'll also get blueprints with all necessary views and email support from John, the developer of the plans. Learn more about this 10x12 Gable shed. Here's a storage shed with lots of storage space in the loft, 5' double doors, all treated wooden floor with floor joists 12" on center. 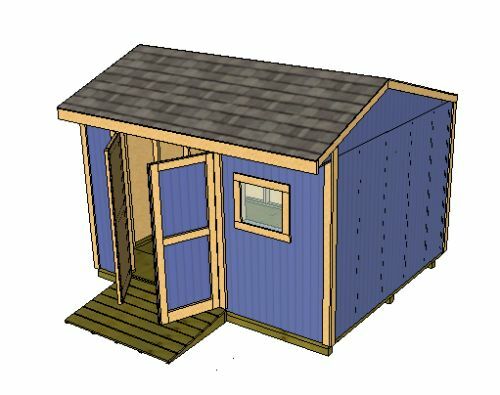 With your download you will get a comprehensive building guide, plan blueprints, materials lists, and email support should you have any questions about building this storage shed. 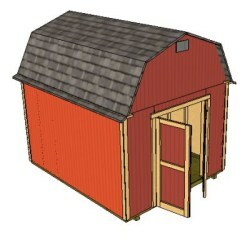 Learn more about these 10x12 gambrel roof shed plans or purchase below for $9.95. This saltbox style shed has 5' double shed doors, 1 window on the front wall. Total height is 9' 8". 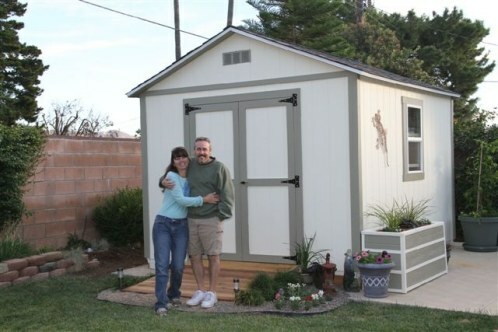 This storage shed can be used as a garden shed and has plans for framing in additional windows. Learn more about this 12x10 saltbox storage shed or purchase the plans for $6.95 using the buttons below.